This is a high quality Teflon (PTFE) 4:1 heat shrink. Great for insulation and heat protection. Draws down at 640°F (338°C). Operating temps from 500°F down to -454°F. For best results, heat slow and evenly with good ventilation. 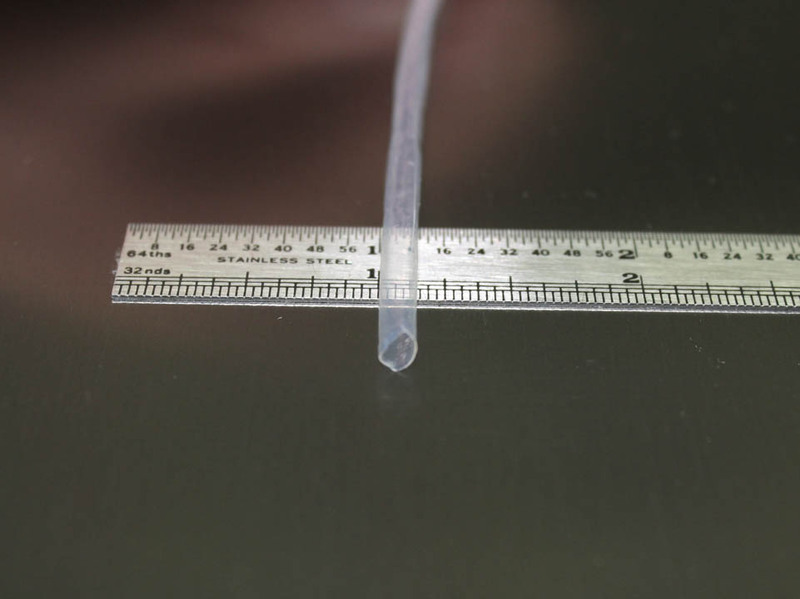 The tubing must be heated to a gel, but overheating can cause cracks when cooled. The shrinking process occurs as the tube cools. Exceeds AMS-DTL-23053/12, UL VW-1, UL 910, and NFPA262. Maximum length per single continuous piece is 4 foot. Priced and sold per foot (0.305 meter).